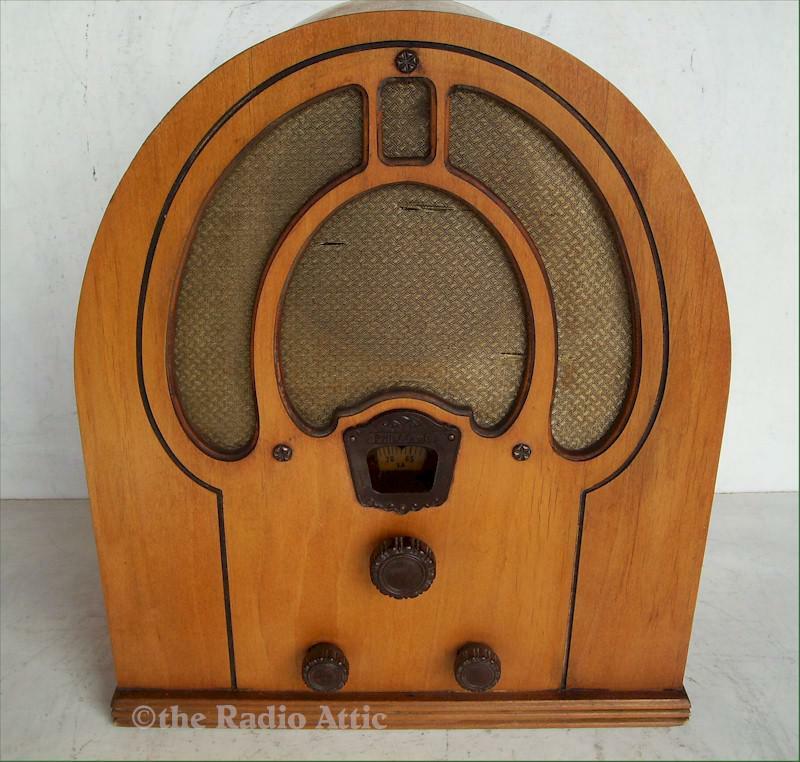 This Philco dates from 1932 to 33. The more common variation was offered without shortwave and sold as a model 80. The model 81 has an extra knob for the SW band. I'm offering the set as found. The original finish was removed and given a light clear coat at some point. The cabinet is solid with no veneer damage. The chassis retains its originality and much nicer than you normally find them. The perfect candidate to restore as you wish or enjoy as is. Has the original knobs, escutcheon and grille cloth showing some wear. The speaker cone looks good. I checked the tubes, but otherwise the chassis has not been serviced. With a long wire I got several AM stations with strong reception. 14"H x 11"W x 8"D.